Makena is rated 4.7 out of 5 by 67. Rated 5 out of 5 by Bob from Excellent hot tub! We love it! Easy to maintain. Great way to end your day. Rated 5 out of 5 by Spartan412 from Fit for a king Every time I get into the spa I think, “What did I do to deserve this” and “I feel like a king”! My wife and I are plagued with stiff muscles and joint pain. I’m very active with exercise and weekend construction projects, resulting in sore, stiff muscles. After 20-30 minutes in the spa followed by some simple stretching I fell fantastic. We chose the Makena because of the various Therapeutic jets, ability to only turn on the jets we are using, and ability to change the power of the jets. On a recent vacation, after a day of kayaking and bicycling we got back to where we were staying and the first thing that went through my mind is “I miss my hot tub”. Rated 5 out of 5 by Marcopollo from Perfect for my back yard I had struggled with upkeep and repairs on my "installed-in-deck" hot tub for years. I tore it all out and my Caldera Makena matches perfectly next to the pool and remaining deck. It was surprisingly easy to install and set up. Now, it keeps itself clean and ready for a group of tired soccer players each Sunday, and Wednesday. I get it the rest of the time. It's been almost a year now and I I thought my electric bill would go way up, but it didn't. A high quality item, and I am very satisfied, thanks. Rated 5 out of 5 by Cal from Makena, after Five months Five months after purchase, we are delighted with the purchase of our Makena spa. We use it several times per week. We have not had a single issue with it. It's fun to sit in the spa and listen to tunes or watch a little sports on the TV. But to be honest, my favorite time is at night, with no jets running and the lights off. But to each his own! As there are often multiple people it in, I am glad we got a relatively larger spa. We struggled with whether to get a lounge seat or not. My son and I love it. My wife and daughter do not--although they enjoy the other seats. Perhaps height and weight make a difference. Best thing to do is to try one filled with water! I am sure my son and I would have also loved a spa without a lounge seat. Perhaps that is the safer move if you are truly confused and can't or won't test one with water in it. I hope this helps--and enjoy your spa! Rated 5 out of 5 by longlivevafet from Best Tub Out There I compared every make and model over a year before I bought my tub. Caldera was the best product for the price and was a better value than any other tub maker. I use it every night to relax an spend time with family. Love my TUB TIME. Rated 5 out of 5 by Randy from This is a Premium Quality Spa!! We have enjoyed our Caldera spa. It has been easy to keep the water clear and at a steady temp. We are looking forward to many years of great service. Rated 5 out of 5 by Nick321 from A Very Practical Choice We purchased the Makena in July and have loved every minute of using it. It was definitely the most practical choice and fit our needs the best. It doesn't have as many fancy options as some, but it has enough and was worth every penny. The frog water system is so easy to maintain and keeps the water crystal clear. I would tell anyone in the market for a spa to definitely consider the Makena. Rated 5 out of 5 by JeffA1972 from Great Investment We were very slow to decide whether to purchase a hot tub and then very diligent in researching the options available to us. After this process, it was clear that an investment in a Caldera hot tub was the right way to go. We have no regrets! We use the unit nearly every day. 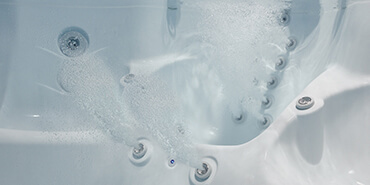 The care of the water, especially with the integrated Spa Frog cartridge system couldn't be simpler. The Makena has a great lounger and a corner seat we call the "rocket seat" because of how many jets are there to really work your back. We really love having this in our own backyard! Rated 5 out of 5 by Kathy from AHH so Relaxing! Great massaging action, minimal care with Frog System. Having problem with vinyl outer panels cracking. Currently waiting for them to be replaced. Had a problem with one of the jets blowing out, it resolved itself after one replacement didn't work. The bottom is a little tricky when you get in because of the configuration. But, use to it now. Over all it is a great tub. Rated 5 out of 5 by shadowman from caldera spa great spa, my family enjoys especially after being out on the lake. have difficulty getting service from my vendor, tradewinds spa in utica, michigan though. fortunately, the spa doesnt require much vendor service. Rated 5 out of 5 by Sam & Patty from Love our Caldera Salina Spa We love and use our spa regularly- it's great. Love the relaxing setting, the heat, and just laying back and enjoying the stars! I had a couple of fears: Cost of running the spa - my dealer said it would cost around $18/month. I've had our 7 person Salina for six months and and my 2014 bills are lower than I paid in 2013! We live in the moutains where snow is on the patio from November to April. Water care was the other concern - with the automatic FROG system I hardly add any extra chemicals. It's great. Rated 5 out of 5 by KT2112 from In love with our spa! We have owned our spa for only 3 months, but it has made such a positive impact on my physical and mental well-being! And I sleep so well at night after a soak... Friends and family are hooked, too! Wish I had purchased one years ago. Rated 5 out of 5 by R from The best hottub I have tried Being a European spa retailer, I have tried out many spas, from different producers. I can tell you that Makena is the best spa Caldera could make as a novelty. It is a great size, very comfortable, very spacious. Massage is strong and well adjustable, lights are beautiful, insulation is great. 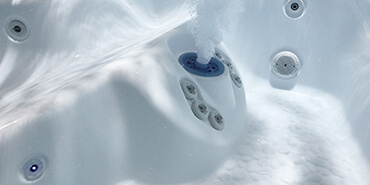 As a retailer I am very happy having this spa in the selection of Caldera Spas. Rated 4 out of 5 by Nelson from Nice Therapy with good efficiency! Not a bad spot in the whole spa. All jets are powerfull. The lounger is a little undersized, would work well for a smaller sized person. I have to slouch a little to get it to fit properly and I am 5'8". Euphoria jet is nice on the feet. I would like it better with an intergrated Salt System. Rated 4 out of 5 by Ventl8tor from First spa Due to the weather, haven't been able to use it as frequently as would like. I go to a gym 4-5 days a week, and this spa has definitely helped with the sore muscles. Still learning water care, so hopefully that becomes easier. Overall, I am sure we will get optimal use out of it, when the weather cools down. Rated 4 out of 5 by Og from Too much tub for me My wife and I purchased our spa last summer. We were torn between the Caldera and the jacuzzi. We are very happy with our choice; with a few reservations. First, the cost to install the tub was significant. Even though I believe we got a "great" deal on our tub, I was not prepared for the additional $2000 to have the electric work needed to meet the local (national) requirements for safety. Second, we chose the Caldera primarily due to the local rep for them, he has been outstanding for service. The tub itself has been a little, just a little, disappointing. The "frog" system is a joke. The bromine canisters just do not work; I need to add chlorine regularly. Other than that, the maintenance is really straightforward. Lastly, and this is entirely due to our lack of experience and knowledge regarding tubs, the model we selected is just more than we need. Rarely, if ever, are there more than two people in the tub, usually just me, so we would have been happy with a much smaller (less expensive) model. One last note, the "lounger" chair in the tub...I insisted we have this...it is always the last seat taken (the takeaway...go to the store and do a wet test to see if it is something you would actually use). Rated 4 out of 5 by THOR from Free shirt review It's been great.... No problems with pumps. Control panel burned out the 1st week we had it but company replaced it and we have not had a problem since. Rated 4 out of 5 by GibbsRules from We use our Makena just about every day! The spa has been a great addition to our home and I'd recommend this model to anyone. The one difficulty was that the control panel was faulty within the first month. We were unable to turn on the jets or control the temperature while we waited for replacement the part to be received and installed. Since that initial issue, once in a while, the Bluetooth function disappears from the menu on the control panel, so we need to power down and back up to reboot the system. It's a little frustrating, but we love the comfort of the spa overall, and we use it most days. The water quality is easier to care for than any previous spa I've owned. The local dealer has always been terrific in assisting us whenever needed...I refer anyone thinking of purchasing a spa to them and to Caldera. Rated 4 out of 5 by Lauren from water care We love our new spa but have trouble with it continually being cloudy even when the chemicals are correct. The place that I purchased the hot tub from is of no help. Rated 4 out of 5 by Eva from Jets We love the hot tub but when we purchased it every time we turned on the jets the little plastic covers fell off. We called the place where we purchased it and they came out the next day fixed them and it has been working wonderfully since then. Rated 4 out of 5 by PBH from Very Comfortable It is comfortable, but have never been able to get the water clear. Rated 4 out of 5 by KitCat75 from Great purchase We have really enjoyed the spa. The only problem we've had is trying to keep the bromine level right. The spa is very comfortable and the jets really work the muscles and make them feel good and relaxed! Rated 2 out of 5 by ladygo from not very comfortale way too deep, some of the jets stopped working along with the waterfall. Disappointed. Rated 1 out of 5 by Ashley from Very unhappy customer We are very unhappy with our caldera spa. After weeks of breaking out in rashes (all 5 people that got in the tub), we decided to return the tub. They came out to drain it, clean it and fix it and we all broke out again. Very unfortunate situation. Returning spa:( We do not know why this happened and either does anyone we've worked with! Rated 5 out of 5 by Shalalah from What's not to like..... We had a hot tub a number of years ago, but advancements have really enhanced the hot tub experience. Our Makena looks beautiful sitting out there on the deck and it is just a delight to be in. My husband has back issues and he heads right for the tub at the slightest twinge!! For health and relaxation, this can't be beat. Thanks to your representatives in New Castle, DE for ensuring that the installation was accomplished without a hitch and our every question was answered. We have no doubt they will be there to help, whenever we need it. This is an excellent product which will give us years of enjoyment.. Rated 5 out of 5 by JW from very good decision to purchase We looked at numerous spa dealers makes and models and were sold on Caldera. I was very pleased with the ease of delivery, setup and use. Our sales person Mark at Pioneer Pools was excellent. Rated 5 out of 5 by DebNevada from Love our Makena! Bought our Makena Spa from Kevin at the Spa and Sauna Co. of Reno for my husband's surprise 65th birthday last week. He was totally surprised and we absolutely love it. What a fantastic way to totally relax after a busy day, especially when you're on your feet all day long! Excited to have our daughter and family over this afternoon so they too can enjoy it with us. Definitely recommend this spa! Rated 5 out of 5 by Dizzy_des from Awesome spa! Purchased this Caldera spa four weeks ago. Wow it's awesome! The body color matches my house. The jets are very well positioned. Ease of use, ( the screen is easy to read) and unlike my old tub I'm not having to switch multiple poorly lit buttons. Really enjoying this tub. Rated 5 out of 5 by veryhappycustomer from Best Purchase EVER! I was skeptical with the purchase of our spa! However, it was the best decision. I absolutely LOVE every minute spent in it. I find that I sleep better and feel better overall. Very relaxing. And it is relatively easy to maintain! Rated 5 out of 5 by MLA_7 from Makena Heaven Waited a long time before buying a spa and finally went shopping. 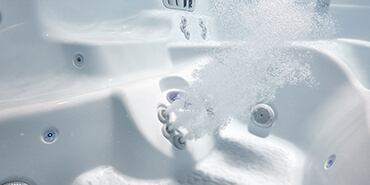 We ran across a small little spa dealer in Costa Mesa called OC Spas and Hot Tubs. Ryan and Les spent countless hours educating and showing us all the features that the Caldera spas have. We checked out other spa brands and dealers with wet tests and questions. The spas that stood out and with the amazing service we went with Ryan at OC. The Makena with the Ephoria jet, comfort, and size was the perfect spa for our family of four. 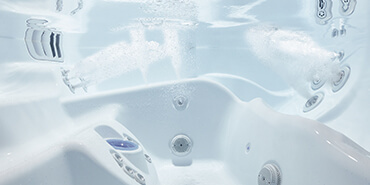 We are now a proud family member of Caldera and OC Spas and Hot Tubs. One regret is we should have bought one a long time ago. Rated 5 out of 5 by Holly from Love soaking I love my Caldera spa!! I soak just about every day for at least an hour. One of our best investmemts!! Rated 5 out of 5 by Teresa from Best SPA ever!!! I bought Makena in April 2016. I really love it . Easy to keep clean by itself, on the bottom is always clear and drain out first time this week and everything are easy back normal ! I love the message from the jets help reduce my lower back pain. Spa every night and control water temp for summer time which is great !!!! Rated 5 out of 5 by Mark12 from Makena I have absolutely enjoyed this spa. As a former spa tech and salesman I knew what to look for and this one had the best setup for the price. Plenty of therapy jets. The corner seat will blow you out if you turn it all the way up. Nice adjustability whether you are in by yourself or with 4 or 5 others. Plenty of room. Overall it is well built and stylish and the warranty is good as well. Rated 5 out of 5 by JJ 7374 from How much I love my spa We researched many different spas and sizes for over a year and finally decided on this one. We are first time owners and it was very easy to get the water set up and maintained. We have never regretted our purchase. Rated 5 out of 5 by tublover28 from Happy with Makena model by watkins and Caldera This tub seems to be of good quality thus far. I have owned mine for about 7 months and so far no issues. Put it on a solid foundation and you won't have to worry about it structurally. The frog system and typical chemicals are the only set back with any spa. The frog system did not seem to do as good as i expected. Have no fear there are better options out there and i found them, and that has made me a very happy spa owner! Love the blue tooth music option on the makena too! I use my smart phone and play music while enjoying the relaxation of all the jets. The spa should do me fine for what i need. I bought mine for the theraputic massage and relaxation from stress. It is great in morning and evenning time frames, and summer mode keeps it desired to be used year round. Thank you Caldera! Rated 5 out of 5 by Alston99 from We love our Makena hot tub My husband and I replaced a 20 year old hot tub and purchases the Makena model in January of 2015. We love it! It is easy to maintain and with both of us having back issues there is nothing better than to come home and soak in the hot tub. We use it a lot during the winter and it was a beautiful addition to ou back deck! Rated 5 out of 5 by Pat & Mike the "Deskset" from We love our Spa We built a deck specifically for this spa. We enjoy it every day, even in the winter. We were surprised when our electric bill did not go up. We shopped for about 6 months before deciding on the Caldera Spa. It is very high quality and uses the Frog System for water control. We are very pleased with our Spa. Covenant Industries in Louisville Ky. made the installation easy. Rated 5 out of 5 by Rockin' Z from Love our spa We love our Caldera spa! We enjoy the heat and jets after a long day. It is very relaxing and soothes the aching muscles. When the grandkids come to the ranch, we lower the temperature to 84 and they think the spa is a pool! They enjoy playing in the water when the outside temperature is just inder the century mark here in Texas. Rated 5 out of 5 by Dougnval from Better than the $70k pool it sits next to We put in a pool last year and decided as an "after the fact" to buy a hot tub for the patio. This Caldera Spa is awesome, and gets more use than the pool,,,year round (we are in VA so its cold in the winter). The light show is awesome, the jets are in just the right place, its cheap to run, it looks cool and when I'm angry irritated and tired,,,it makes me happy again. Rated 5 out of 5 by Drew R from Caldera Spa. I have been very pleased with our spa. We have other friends that own comperable brands, but our stands out for ease of use. The Frog system makes maintaining the spa simple. Rated 5 out of 5 by Voot from Total relaxation We bought our McKenna hot tub and just love coming home from a hard days work to enjoy our own little paradise. Rated 5 out of 5 by Brian14 from Love this spa Very easy to use. Came with alot of options. Easy to setup. Rated 5 out of 5 by New Spa User from Love the lounge seat We love the configuration of this tub. The lounge seat is wonderful. Blue tooth speaker system is great as long as you keep the water level below the speaker. We had two small leaks in the plumbing. One from a loose PVC fitting in the first month and one from a bad pump drain plug within the first year. The seller fixed both of the issues at no cost within 24 hours. Overall we are very happy aside from the minor quality issues. Rated 5 out of 5 by jayster44 from relaxing what a nice addition to the home. nothing better after a long day of work than to relax in my spa!! Rated 5 out of 5 by RR from Twice a day My wife and I typically start our day in the spa with coffee, and end it in the spa with wine. It is so relaxing and therapeutic for the minor aches and stiffness from tennis, golf, skiing and other activities. Rated 5 out of 5 by Tony68 from Great Purchase We had a great purchase price on our spa. We love the water fall and changing of the lights. Its the perfect size for 4-6 people. Couldn't asked for anything better. We have enjoyed it, which we use at least 3-4 times a weeks. It makes a difference in sleeping at night if you use it about 30-45 minutes before bed time. Rated 5 out of 5 by jon3000 from Should have done this sooner! What a great decision we made, not only in the quality of this brand, but love this model too! I was concerned that I would have to mess around with the controls to have the jets strong enough as I move from seat to seat. As it turned out, it is so powerful that I can just leave all the controls alone and move from seat to seat with plenty of power at each one. Each seat gives you a different experience! Rated 5 out of 5 by Steve36 from Amazing Comfort I have owned 3 other different spas. This is by far the most comfortable. The seats and lounge are in perfect position. And the jets are located in spots that allow my wife and I to massage very specific places. I've never had a spa that did such a good job of relieving tension in my feet, ankles, achilles tendon and calves. The back and spine jets are awesome. Overall a great spa. Rated 5 out of 5 by Smith5 from Excellent Everything we expected. Two thumbs up. Would recommend these spas and salesperson to everyone. Rated 5 out of 5 by Zork Dude from Overall very solid I actually had a lower end Pinnacle Spa 745 before moving and purchasing this one. I do feel like I upgraded from a BMW 3-series to a 5-series. The parts seem better. The overall hp in the engines is lower, BUT the Caldera distributes it better and still has plenty of power. The middle jet is excellent. Only complaint versus the Pinnacle is the controls. In this spa, you have to circle thru the Jets button to get to the combo you want. In other words both engines go off one control. In my other tub, you could control engine 1 and 2 independently. All this means is that you have to get used to hitting the button a couple more times. Only other complaint is that every , say 3-4, weeks my Bluetooth audio option just vanishes from the LED display and I have to "reboot" the hot-tub". No big deal. Otherwise audio speakers are excellent. Would be nice if volume controls had their own buttons as well, instead of scrolling around for them. But, so far, overall, very happy with the unit. Rated 5 out of 5 by VicV from Great Purchase We purchased our Makena approximately a month ago and we are very pleased with it! We have been in it ever day some times twice, it may be the best money I've ever spent! Rated 5 out of 5 by arnie88 from Outstanding in every way ! 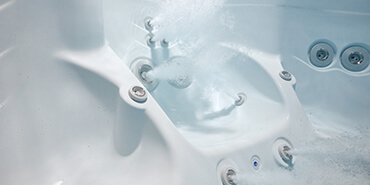 We have had spas for over 25 years and purchased the Makena several months ago. It is very cleverly designed for easy use and maintenance with a large variety of different seats, nozzles, adjustments and pure joy. The FROG system makes the control of chemical balances quick, reliable and simple. 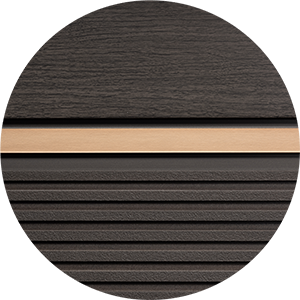 The wireless stereo has seemingly limitless variety and great sound. The cover support structure eliminates heavy lifting. GREAT PRODUCT ! Rated 5 out of 5 by Ken from Caldera Makena Spa I am very pleased with my spa. I have had it for just short of two years and use very frequently. I have the water tested frequently and find it easy to care for. With six adults in the spa, the water gets to be on the high side. I have trouble with my legs and the spa jets do help. Rated 5 out of 5 by Ange from “Paradise at home” My Makena hot tub was the best purchase I ever made! After multiple hip surgeries and back issues this has been the best therapy I have had. This is not just a hot tub, it’s a total body experience. For aching muscles or just to relax this has been a great addition to my life. I highly recommend these spas to everyone! I am in mine every day. The maintenance is easy and very user friendly. Rated 5 out of 5 by Spacation from Like Vacation Everyday We needed a spa because my husband and I both have hip issues. We truly did not realize the impact a spa would have on soothing our muscles and joints and lower anxiety from feeling sore a lot! When I get out of the spa I feel relaxed and I get better sleep. I'm glad we chose a spa with more jets. Every seat has something to offer. The waterfall sound and lights are soothing but a true luxury spa experience when you let it lightly dance on your neck or back. We never owned a spa. I did as much research as possible. My best advice is buy the spa for you and not the friends that may use it too. Rated 5 out of 5 by Pmoney from Very Nice Hot Tub! So far so good, Hot tub was very easy to set-up. The controls are easy to use. Lots of jets and very comfortable, What else can I say, other than you get what you pay for. Excellent purchase. Rated 5 out of 5 by HarpoJMU87 from Pleased In Kentucky We purchased our Makena from a local dealer and the customer service and training was outstanding. Our entire family, including grandchildren, have enjoyed the spa experience. Highly recommend! Rated 5 out of 5 by Tammy from Very happy with our 1st spa. Picking out the perfect spa is very hard. There are way too many options to pick from. With the help of our sales rep (Amanda), she was able to narrow down what we were looking for in a spa. What we picked was and excellent choice for our family of four. We are all very comfortable in all the different seating arrangements offered. Still getting use to how to take care of the water and cleaning the filter, but I'm sure that will get easier as time goes on. Happy we picked the Makena! Rated 5 out of 5 by GrannyCara from Relaxing Have enjoyed the spa since it was installed a couple of weeks ago. Easy to understand settings. Our sales person was very helpful and informative on all aspects. Helps with arthritis and grandchildren love using it after soccer. The set up was very quick and the men explained main aspects of using it. Love it and would highly recommend it! Rated 5 out of 5 by foote from the water is fine! It has taken us a lot of years to commit to a hot tub and are loving every minute now. we enjoy the relaxation and just the connection with each other while enjoying the spa.The jets are like a massage and the warmth of the water so relaxing. it is so pretty to look at an a true asset to our backyard. Rated 5 out of 5 by Corey C from Makena The tub is great the care and start up could not be easier. The jets systems work away the days frustrations, stresses and some of the day's poor choices. Controls are very intuitive and convenient I especially like the memory feature press a single button and everything comes back on the way I left it.